As a child my family moved to America. My immigrant Mexican family adopted many American traditions, we celebrated most of the American holidays along with a few Mexican holidays. We have the same values, worries, hopes and aspirations for our loved ones. You could say that besides being bilingual, and eating Mexican food my family was your typical suburban family living in America. One of the biggest American holidays my family celebrates is Independence Day or the 4th of July. That means family gatherings, fireworks and cookouts. When I lived in the states I loved celebrating the 4th for those very reasons. Summertime also meant that there would be many outdoor fiestas to celebrate something or other. The warm weather fiestas were often celebrated at a local park, or someone’s back yard. My huge extended family and family friends would all gather to celebrate with a cookout or barbeque. The day started early and in true Mexican fashion it was an all day party with food, music, sometimes dancing, food, laughter and did I mention all the food ? I still remember the first time my American husband attended one of his new Mexican family’s cookouts. Not so secretly I think he was in culinary heaven, secretly I was so proud of my guerito for loving everything. Everyone wanted him to try this and that until he couldn’t eat another bite, but still he was offered more. Those are Mexican mothers for you. No wonder he never wanted to refuse an invitation to a family gathering on his Mexican side of the family. Mexican food is his favorite and the opportunity to try something new is one he doesn’t pass up. There was always great food, both Mexican and some American. The list of foods and desserts were always extensive, since everyone brought a dish or several. But one of the foods served at our family cookouts always sticks in my head. Grilled chiles stuffed with chorizo and cheese. It was my eldest sister V. that prepared them and believe me when I tell you those are the best stuffed peppers ever tasted or cooked by anyone! Grand statement but that girl can cook and turn the most ordinary thing into a 5 star worthy dish. I’ve never prepared these stuffed peppers with my sister V. but I began recreating them from memory and I hope she approves. Sadly I do not have a charcoal grill so I will also be teaching you and indoors method. These stuffed peppers or chiles rellenos are not the same thing as the cheese stuffed poblano peppers many think of when they hear chiles rellenos. The words chile relleno just means stuffed peppers, not specifying what kind of pepper. The peppers that can be used in this recipe are chiles guerros or yellow chiles. You could also use cubanelle, wax peppers, Anaheim, banana, or New Mexico peppers. One day I would also like to use fresh poblanos or jalapenos and can imagine how great they would taste. Mexican Chihuahua cheese or queso fresco, as a substitute you can use Eidam for the Chihuahua or feta cheese for the queso fresco. 1. Cook the chorizo and drain off all extra fat from the pan. Thoroughly rinse the chiles. Lay them flat on a baking sheet or cutting board. Grilling Method: Slice a vertical slit large enough to stuff. If grilling outdoors I do not remove the seeds. Stuff with either chorizo or cheese, or try a mix of both. Do not over stuff as the contents will flow out. If need be use toothpicks to close the slit. Place on the grill and cook until they are soft and have charred skins. Allow to cool a few minutes before serving and remove toothpicks if used. To keep them warm when grilling outdoors just cover with aluminum foil. Indoor Method: Heat the indoor grill pan or griddle over high heat. Place the clean chiles and allow to char. Turn now and then allow the skin to become evenly charred and softened. Once chiles have softened place on a cutting board to cool. Once cooled enough to handle slice a vertical slit large enough to stuff. Depending on my mood I will or will not remove the seeds, it’s your choice. Stuff with either chorizo or cheese, or try a mix of both. Do not over stuff as the contents will flow out. If need be use toothpicks to close the slit. Place back on the indoor grill pan or griddle and cook for another 10 minute to allow the cheese to melt. Allow to cool before serving. Serve as an appetizer, side dish or for a complete meal alongside refried beans or frijoles de olla and tortillas of your choice. Don’t forget some fresh salsa too. Tip: Select chiles that have smooth skin or if ones with grooves and wrinkles that can lay flat on one side. This makes it easier for the contents to stay inside. If you have neither an outdoors or indoor grill you could also use the oven to cook the chiles. Have a beautiful and sunny weekend! Hi Michelle, Thank you :) I hope you had fun celebrating the 4th, it's a great experience. Yum! I was eyeing poblanos in the market the other day, but they weren't looking so nice…this recipe has totally renewed my resolve to find some good ones to stuff. Yum! I can only imagine all those parties with tons of good food! Sounds like you had so much fun while growing up! Your stuffed peppers look so tasty..I love anything spicy and peppers and on top of the list:)) Really beautiful meal Nancy!!! Never seen chillies like those – but they look fab and something rather different from the norm. These look amazing I love good food shared with family and friends. my Mexican mother went off to nursing school before she learned to cook….sigh, but I do remember my grandmother cooking for me she did love to feed me. The last time I went home I did experience being fed at every relative we visited, what a wonderful time that was! Your Chile's look exceptionally delicious and good chorizo is a thing of beauty! Those look great :) I'm not a huge fan of stuffed sweet peppers usually but poblanos and chiles like these that you used look so good to me! Yum! Oh my! I am a chorizo FANATIC!!!!!! Love the stuff! I'm going to have to make this and soon! And I believe that your hubby WAS secretly in culinary heaven. I am 100% americano. A mix of who knows how many european countries and to be honest there have been many times that I wish our family came from an ethnic background due to the huge celebratory meals. Different cultures enjoy food so differently than American's. It is something to be proud of for sure! These look fantastic! Your husband knows exactly where to find delicious food and he is lucky it is from family and not a restaurant. Thanks for sharing. Beautiful and full with flavours recipe! I love grilled peppers, especially when they come in a salad, yummy!!! Wow – They look absolutely amazing! 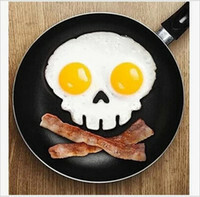 I like that you left the egg off….a nice spin on a classic! I LOVE THESE! chorizo is big in my portuguese family! I can't wait to try this recipe! what a wonderful stuffed pepper dish! I think no matter what culture you are from mother's always want you eat more! lol I guess that's why they say food is love. This looks amazing! Now it may not be necessary but I think these would be wonderful made with poblanos. What doesn't taste wonderful if there's chorizo in it, anyway!!! oo your blog is killing me! i am literally making your tacos al pastor today, and this looks so incredible i will have to make it soon. really need to hone my chile stemming/scraping skills though! i am pathetically slow at it. mmmmmm your husband is a lucky fellow! One of those family celebrations sounds like so much fun, not to mention delicious! Your chiles look amazing! Gorgeous!I've eaten peppers just like this. Delicious! Chile, queso fresco and chorizo always work. Beautifully executed. Thanks for sharing your great story. It reminded me when I introduced my husband (American) to my Brazilian family and everyone wanted him to try all these great different kinds of food. The best part was…he loved it! Sometimes I thing he loves Brazil more than I do :). You these looks beautiful and tasty. Thanks for sharing. I love reading about your life in America. In Romania they always find reason to throw a grilling party almost every weekend during the summer. Family and friends gathering are always welcome. Your peppers look great! Loved the photo with the raw chiles. Congrats on making today's Foodbuzz Top 9! That looks really yummy! Great reading about your life in America too :) Thanks for sharing! This is so fabulous! Definitely no ordinary chile relleno! I love every photo and it looks so delicious. Oh Nancy, these look fantastic! I love stuffed peppers and with chorizo they must be to die for!!! Beautiful pictures too btw! I like to read about your family stories, gathering and all that fab food you get to eat! Like these stuffed peppers, for example. The only stuffed chiles I've had are the Asian version where they are stuffed with tofu and placed in a steamboat soup. I can't make them myself but your dish here have inspired me to try. Wow. These are amazing. I love everything about this dish. Yum!! These look amazing. What a great twist for Rellenos! All I can say this is marvelous, my goodness! Wow, this looks delicious. Your photos are beautiful as well! These look delicious! Your blog is lovely, looking forward to looking through all your recipes! Thank you Julia:) Looking forward to reading more on your blog too.